Tweet After living in KL for a few years, we have not taken the time to revisit Penang with our little one ... Until this weekend. 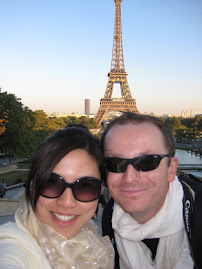 I remember our first trip to Penang in 2007 when hubby and myself didn't know where to go for good food. We followed a magazine guide which pointed us to weird places and I didn't want to do that again. Fast forward after many years in KL, we have gained new friends and knowledge on where to go. 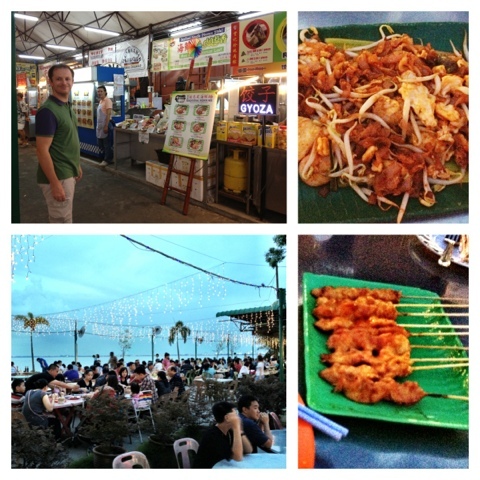 I returned to Penang a few times mostly for work, which means local colleagues did the leading to small corner restaurants that had the best char kway teow and etc food in Penang. Honestly I cannot keep up with all those places they introduced and can't remember where they are. This March 2012, we stayed at Hard Rock Hotel Penang at their lagoon room, which proved to be worthy of our time and effort driving. Surprisingly the charm of being able to jump into the pool straight from our room appealed to the whole family. We arrived late evening on a Friday night. 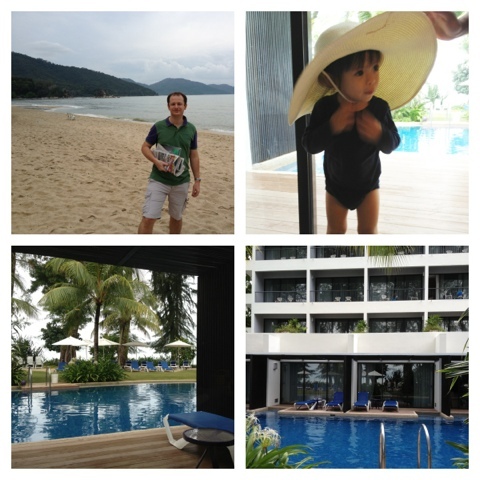 Come morning, I was pleasantly surprised with the beach & pool view from our room. I highly recommend the rooms 101 to 104 for privacy, quiet and great views. The highlight for my little one was the water slide and water sprays at their children's pool. She had a grand time there. Plus she also enjoyed splashing away at the balcony of our room. It was a 4-hour drive from our Mont Kiara home in KL. 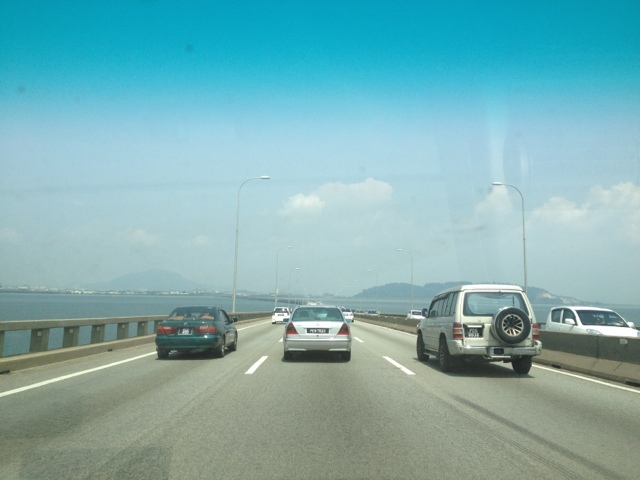 the only part which was traffic was when we reached Penang bridge entering Penang itself. My local friends brought us out to dinner, which was a relief because we didn't want to eat all our meals at Hard Rock hotel. Dinner adventure included places like Northam Beach Cafe (lots of locals and different booths) and we also went to Tsunami seafood cafe one evening. Other meals were lunch at the Pizzeria at Hard Rock poolside and another at a Japanese restaurant called Edo Ichi (on out back to KL). The beach of Penang wasn't that great (as expected). The huge pool was the highlight of our 2-nights stay. 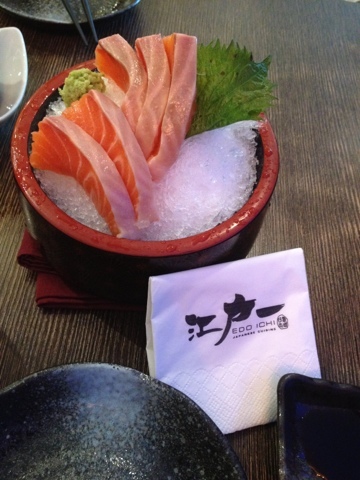 For a short fix out of KL, this is one of the places to consider. The only downside is the traffic inside Penang itself, which reminded me of Manila's traffic.